Travertine marble is a natural stone, just like marble, granite, and limestone—in fact, travertine is a type of limestone. However, they are not the same. Travertine has some telltale characteristics that separate it from regular limestone. One key trait is the holes found within the stone. These are caused by carbon dioxide evasion. 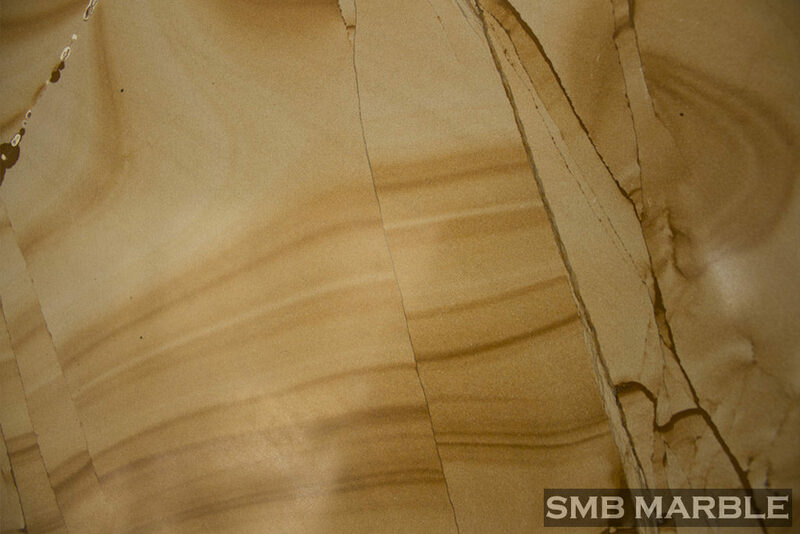 Travertine can range in color from ivory and beige to walnut and gold. The color is determined by the amount of iron or other organic impurities found in the particular slab of travertine. The main advantage of travertine is its beauty. The stone comes in many beautiful colors — including ivory, beige, walnut, and gold — that can add to the beauty of any room. Travertine stone flooring that has been polished and sealed is easy to clean and is considered to be both hygienic and environmentally friendly. This type of prepared travertine can help contribute to the air quality of your home as it does not absorb odors, chemicals, or gases. Dirt stays on the surface of the sealed stone, rather than being ground in, and can easily be removed. If you want a unique and beautiful flooring option for your home, travertine flooring is an excellent choice. It is environmentally friendly, decorative, and a quality investment.